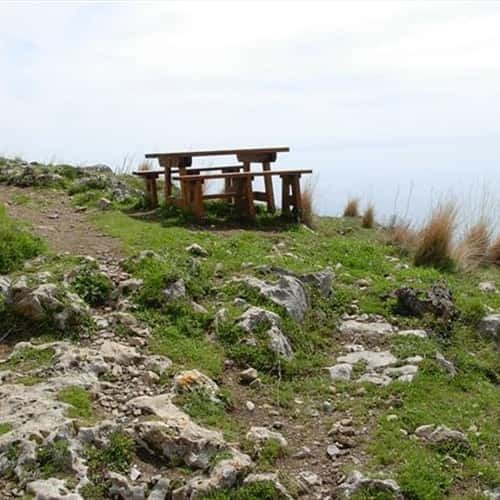 Its name already recalls the mythological landscapes of the Greek Olympus and, for sure, no other name could describe better the amazing view offered from this mountain trail. 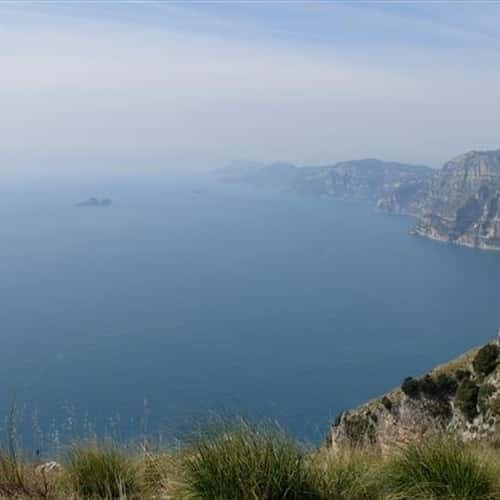 From this trekking path, situated half way up Mount Sant'Angelo a Tre Pizzi (with three peaks) it is possible to admire one of the most striking panoramas of the World: an incomparable overview from the Cilento (province situated South of Salerno) to the Island of Capri. 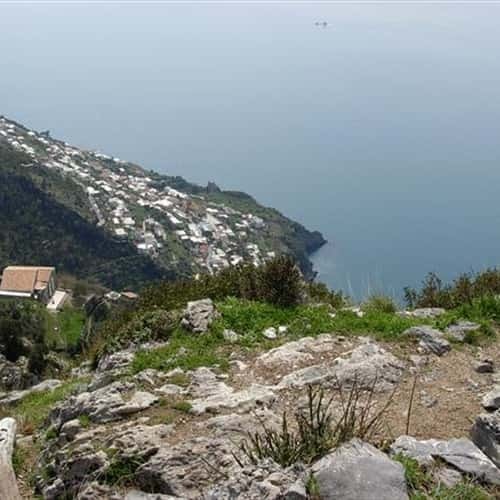 It is a walking track between the towns of Agerola, Praiano and Positano, at an average height of 500 meters above sea level and it offers a memorable challenge within the local environment. 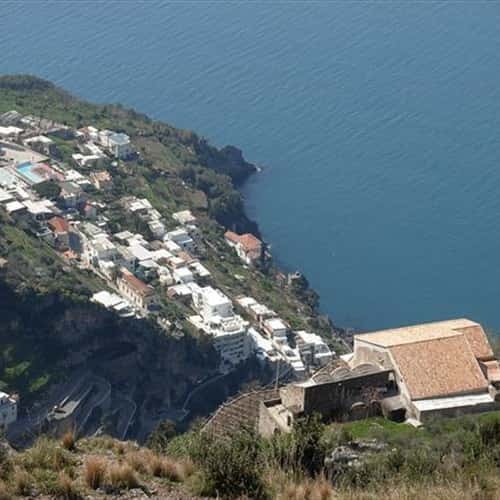 The suggestion is to start from Bomerano, a district of the town of Agerola situated at 650 meters above sea level, and walk along the path to reach Nocelle, a small district above Positano at approx. 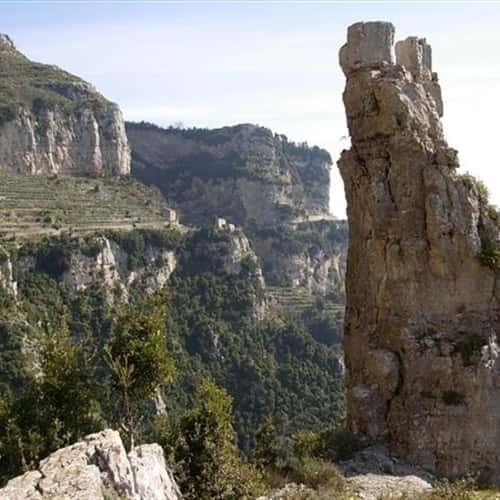 2 ½ to 3 hours walking distance. 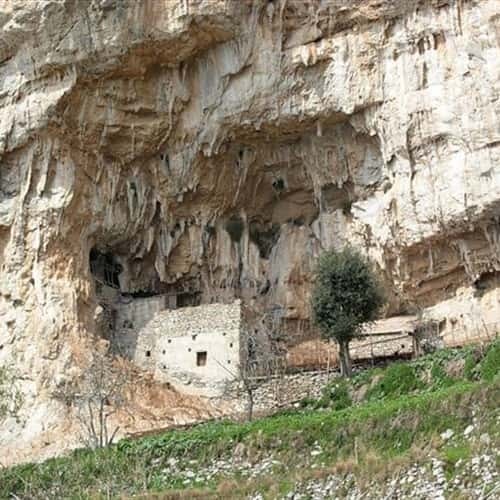 The first site to visit along this nature trail, coming from Bomerano, is the Grotta del Biscotto (at 524 meters above sea level), named after its geologic conformation, similar to the shape of a biscuit bread (typical product of Agerola). 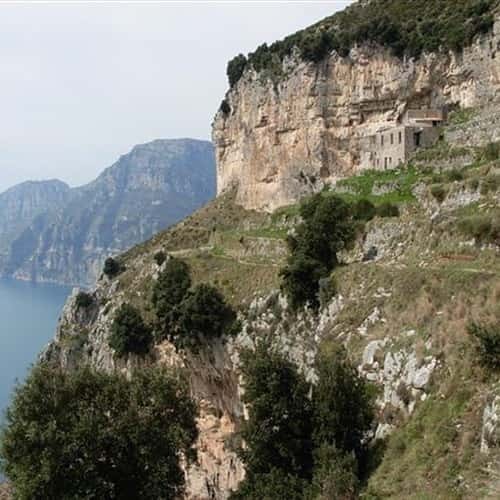 The pass of Colle Serra, situated at 578 meters above sea level, halfway point, reachable also from Praiano, but in this case walking back towards Bomerano, is where the "pinnacolo" is located. 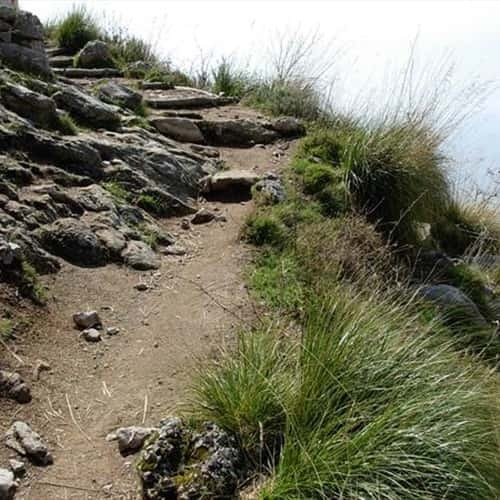 This is where a memorial tablet has been placed to remember Giustino Fortunato, who gave the name to this trail. 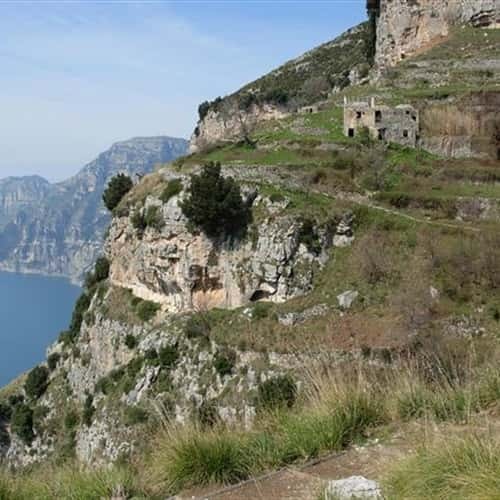 The surroundings are a continuous blooming of the Mediterranean bush, a mixture of chestnut trees, holm oaks, alders and corbezzolo trees. 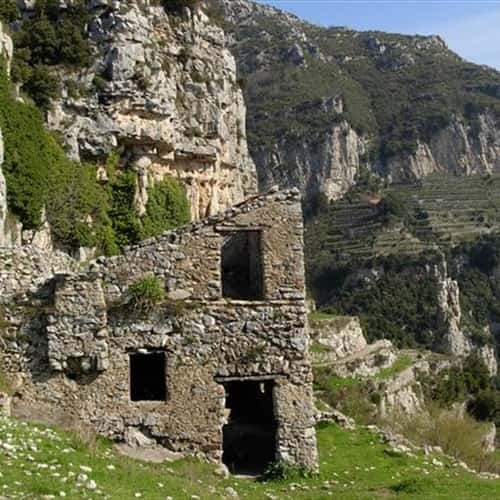 With some luck it is possible to catch sight of one of the peregrine hawks that live here. 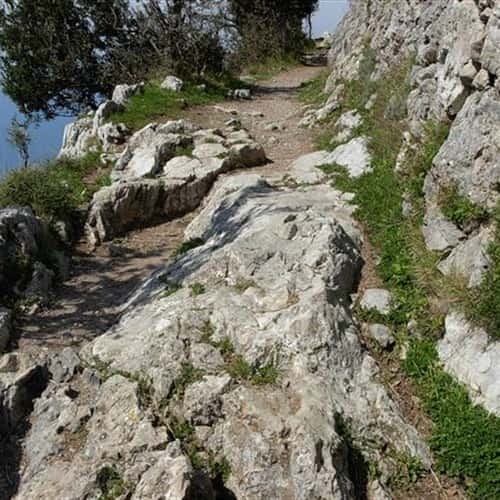 The last stretch is a path rich of uphills and downhills that end up in the district of Nocelle (420 meters above sea level), a small rural village, from where it is possible to reach the main road SS 163 walking down 1500 steps towards Arienzo or continuing the walk towards Montepertuso, another "uphill" district of Positano, from where it is possible to catch a small local bus down.